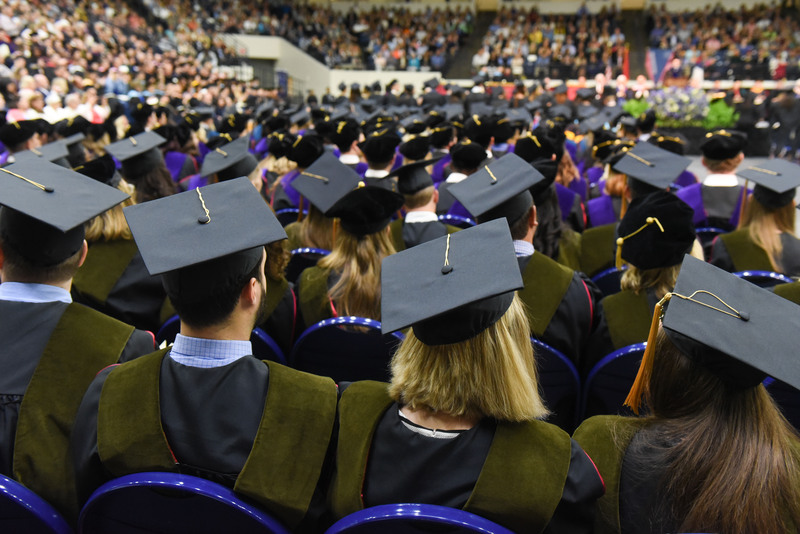 Belmont University held its summer commencement ceremony for graduate and undergraduate students at 5 p.m. on Friday, August 11 at the campus’s Curb Event Center. This year’s ceremony celebrated the graduation of 258 students with 109 undergraduate, 104 master’s and 45 doctoral degrees scheduled to be conferred. University President Dr. Bob Fisher presided over the event and Associate Professor of English Dr. Caresse John presented the commencement address. John is the 2016-17 Presidential Faculty Achievement Award recipient, a title awarded for the outstanding contributions she has made to student success.